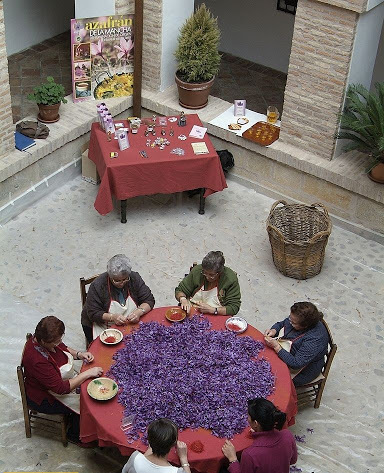 Venamicasa invites you to experience the extraordinary process of elaboration of the best Saffron in the world, only grown, produced, manufactured and packed in the region of Castilla La Mancha, in the area of Toledo, exactly in the Townships of Camuñas and Madridejos, both towns that clearly shows all traditions of La Mancha. 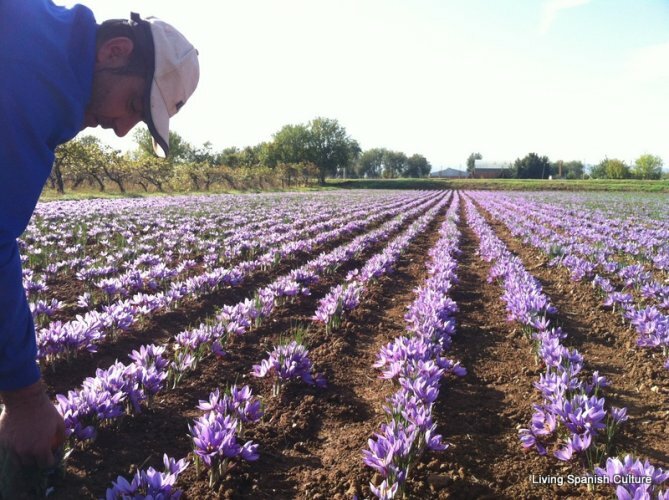 Lives its cultivation throughout an interesting guided visit to the saffron fields participating in its harvesting and pruning, know the dried process by the hand of its own producers and experience the aroma, colour and flavour of the best saffron in the world , always during the last week of October. 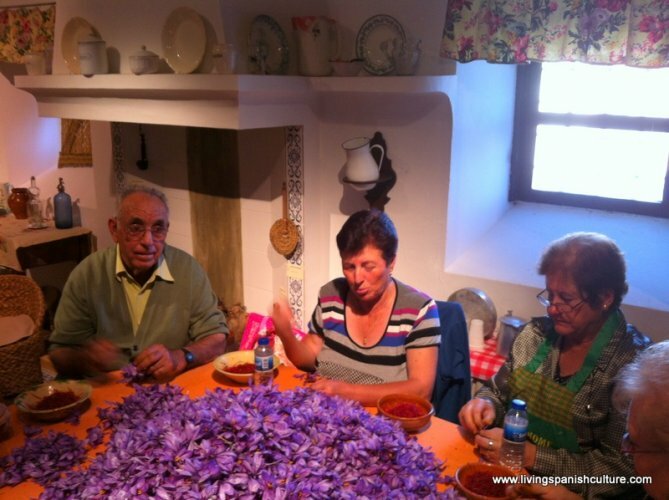 An important economic activity, a sing of identity, a living tradition, a unique and extraordinary cultural legacy of traditions handed down through generations that well deserve to be know in its place of origin: La Mancha region. The Saffron and its introduction in Spain by the Arabs. 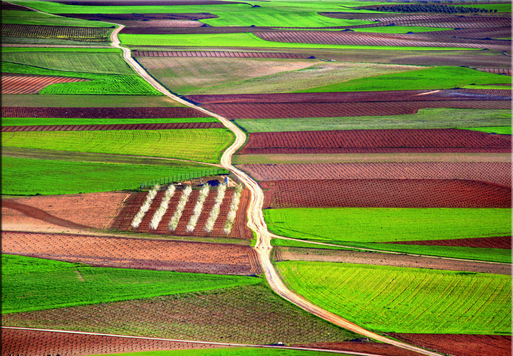 A living tradition in La Mancha, Spain. 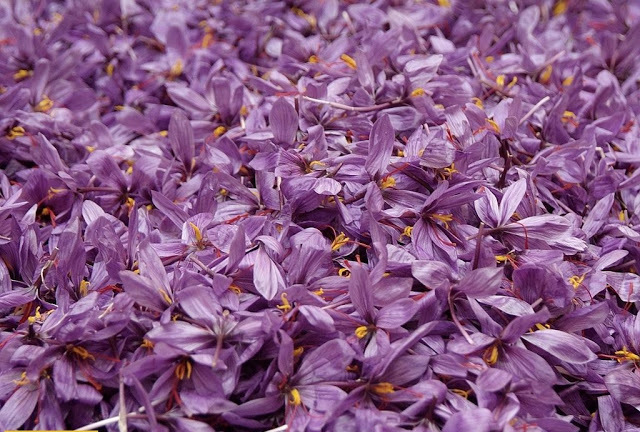 Saffron is considered to be the king of the spices.Its name comes from the Persian “safra” what means yellow. 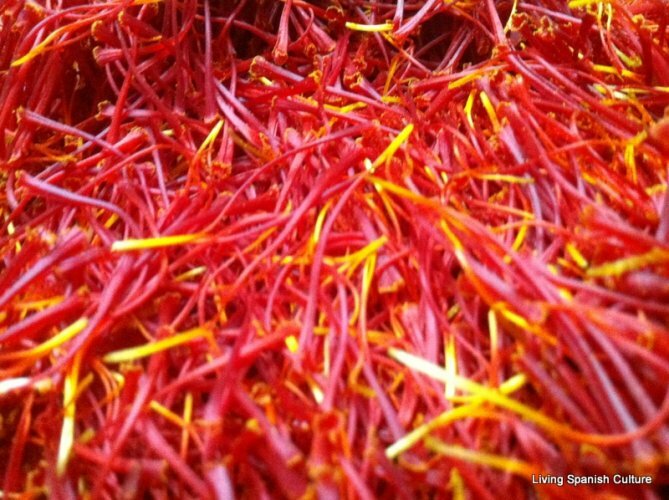 There is no doubt saffron is the oldest and most used spice by the Human Being. The ancient Egyptians considered it to possess healing properties as an aromatic essence and excelent dyeing. In the Classic Greece, as an excelent perfume and for composition of medicinal prescriptions. 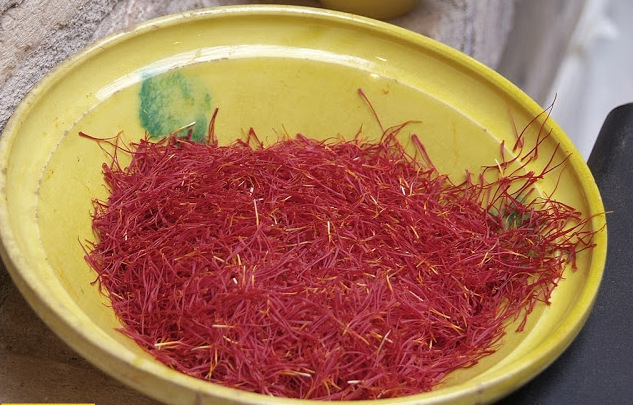 Romans used saffron as infusion and even as aphrodisiac. In Spain saffron is introduced by the Arabs in the eighth and ninth centuries during the Caliphate of Cordoba, they called it Safaran, which means “to be yellow”. In a short time to spread throughout the majority of the Al-Andalus territories, taking advantage of the legendary “Silk Route” in the commercial transactions with the Orient (India,China and Thailand). 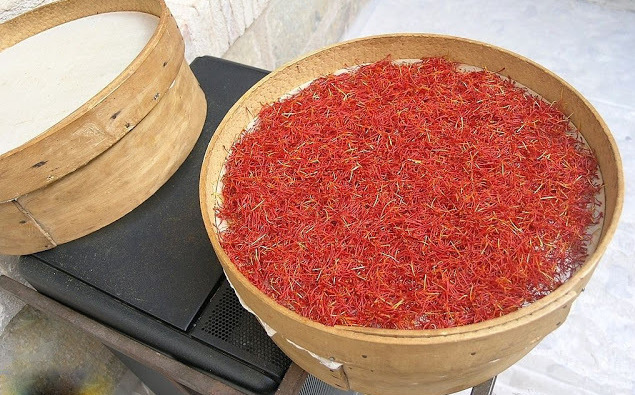 The saffron was the most important condiment for the Muslim economy, used as a colouring and essential seasoning in most dishes. It is a bulbous plant, characterized by intense aroma and flavor that emerges and its high coloring power. Its scientific name is Crocus Sativus (comes from kroke, a word of Greek origin meaning filament and Sativus means cultivable). 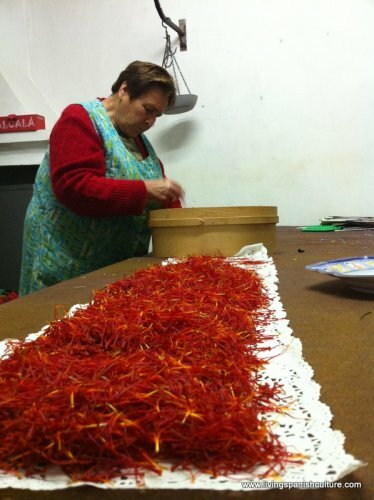 It is obtained from the saffron flower and more precisely from the three red stigmas. The flower is beautiful and delicate, although it only blooms for three or four days. Its leaves grow very quickly and stay green throughout winter and most of spring. The flowers normally bloom between the 15th October and the 15th November. In Spain, It is only grown, produced, manufactured and packed in the region of Castilla La Mancha, in the areas of: Toledo, Albacete, Cuenca and Ciudad Real. 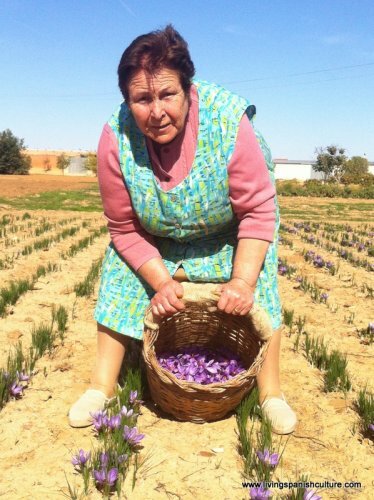 This peculiarity, together with soil and weather conditions allows saffron from La Mancha to have ten times more colouring power than any other additive and to be classified experts as the best saffron in the world. 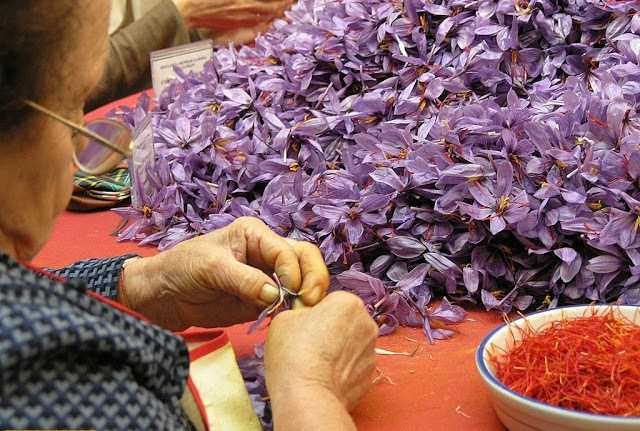 Nearly two hundred thousand flowers are needed to produce one kilogram of saffron. 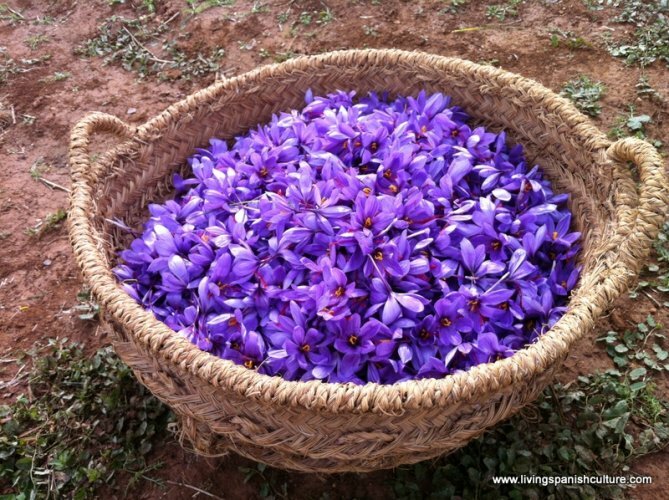 Saffron flowers require at least one thousand square kilometres of farming land, thus it is not surprising that at certain times saffron reached the same price as gold, and was named “red gold”. 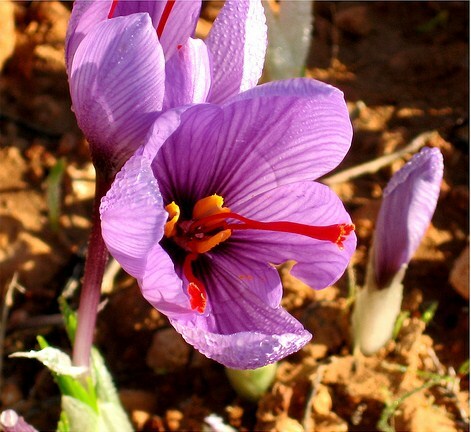 There have been various literary references to saffron in La Mancha since 1720. However the importance which saffron has on many peoples lives can still be shown today through customs. 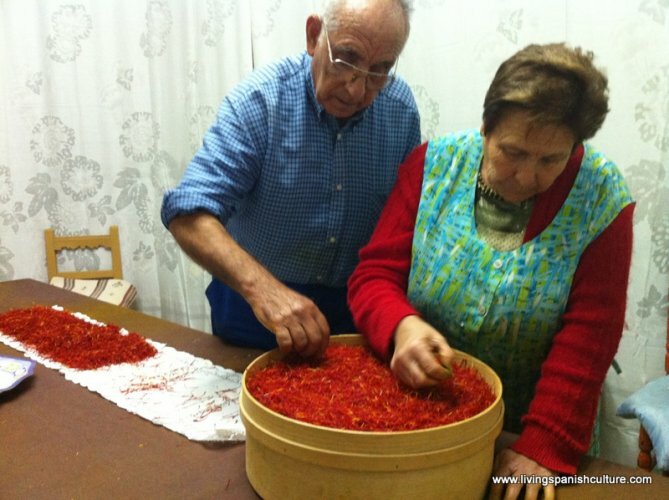 Saffron is given to newlyweds to wish them prosperity. 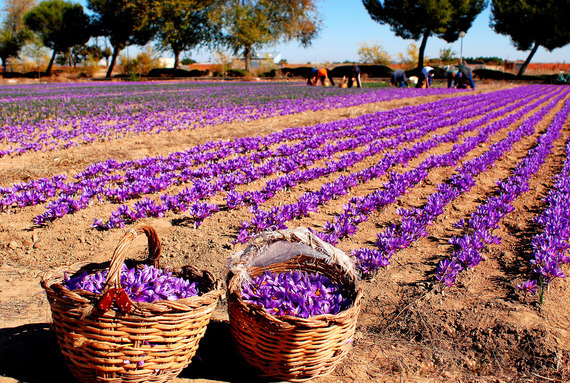 Cultivation and harvesting of the saffron in La Mancha, Spain. The process of harvesting and preparation has been perfected until reaching the utmost quality which we can enjoy today. 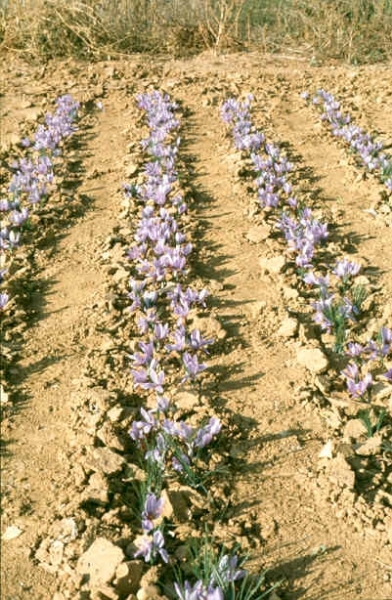 Until recently most of its inhabitants took an active part in growing and preparing saffron. 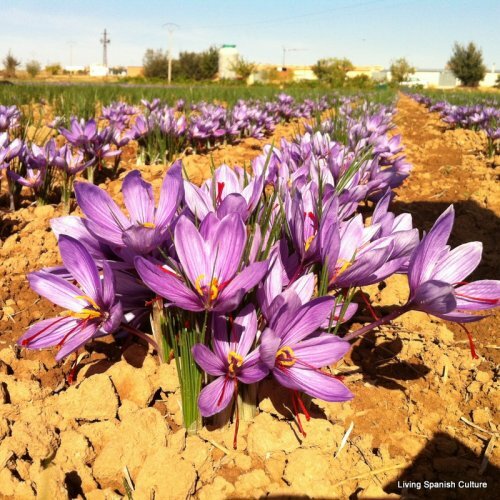 Planting seeds in spring, and observing the change in landscape from September to November as the saffron flowers bloomed and the penetrating aroma filled ever corner of their houses. Harvesting time is at the end of October, beginning of November. The rose blooms at dawn and must be picked from the soil instantly. 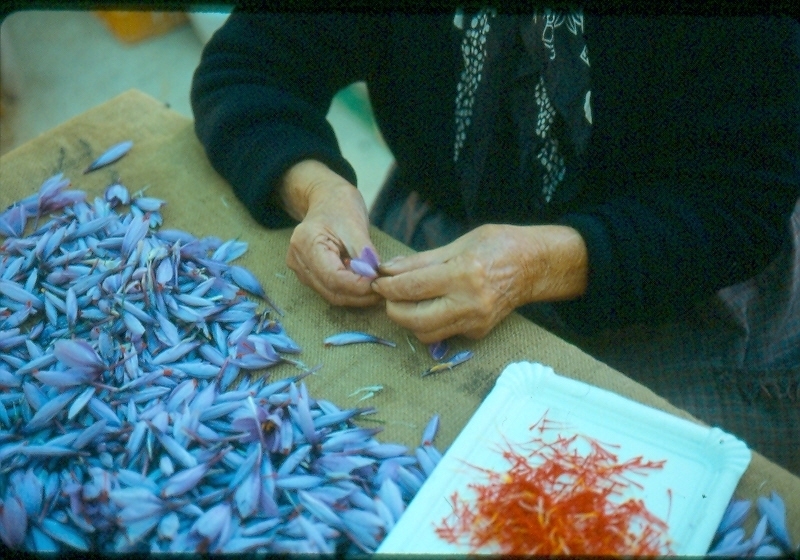 Lengthy exposure to light must be avoided, otherwise the flower withers and the stigmas lose colour and aroma, preserving the final quality of the saffron. Afterwards, the three red stigmas have to be hand-picked from the rest of the flower. This work done by hand is called “monda” or “esbrinar” and is considered as the most delicate part of the whole process and it is carried out in particular houses where all the members of the family and their neighbours get together and spend the whole day remembering old stories and anecdotes. Generally, this process is made by women provided with more dexterity on their hands and fingers than men. Later, the stigmas are toasted at different temperatures almost immediately, a very complicated process which is unique and characteristic of La Mancha area which is passed on from generation to generation. 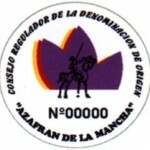 La Mancha Saffron. Designation of Origin. Distributors and final consumers must recognize this label which is the only one that guarantees the saffron packed is Mancha Saffron and actually comes from La Mancha region, non other origins. 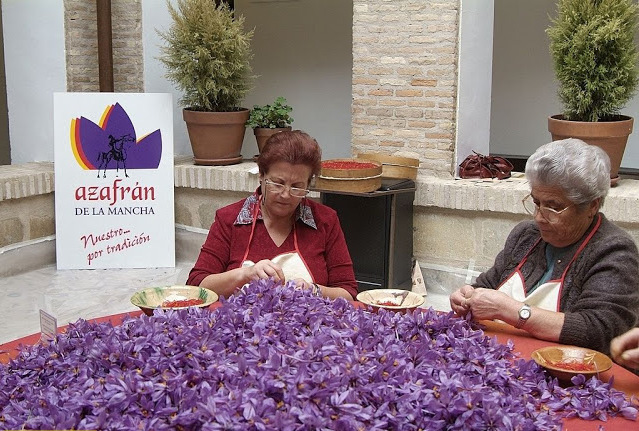 Venamicasa invites you to experience the extraordinary process of the best Saffron in the world, only grown, produced, manufactured and packed in the region of Castilla La Mancha, in the area of Toledo, exactly in the Township of Camuñas,a town that clearly shows all traditions of La Mancha. 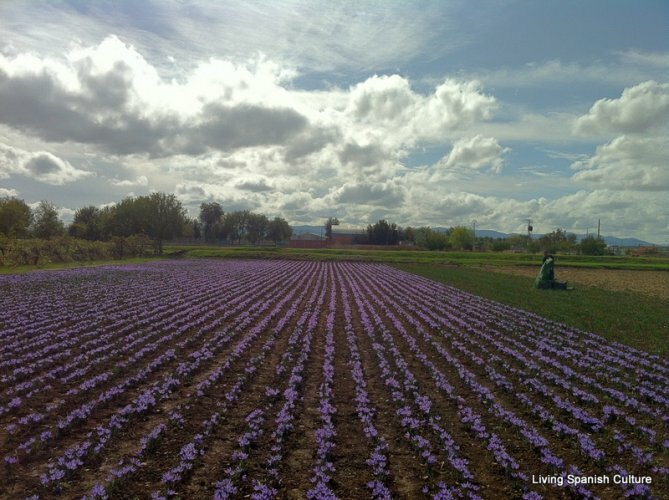 Lives its cultivation, harvesting, pruning and dryed process, aroma, color and flavor throughout an interesting guided visit to the Saffron fields, Its cultivation, harvesting , pruning and dried process, always during the last week of October, from 24th to 30th.